Gutters might not seem like much, but they can add to and protect the value of a home. They make all the difference in the world. But to get gutters that can do the job, you need an installer with the precise skill and unfailing dedication to handle your gutters perfectly. 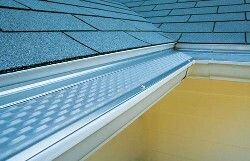 We install and service quality seamless aluminum gutters. We also offer gutter covers and repair services. So if you’re worried about your gutters clogging up, give us a call.